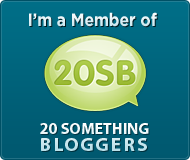 Good morning to all of my blogger friends! I have exciting news: my blog has been picked up by the Chicago Tribune's blogger website and is now located at http://www.chicagonow.com/chicago-quirk/. I'm so excited for this next step in my blogging career, and I hope you'll visit me over there! It might be annoying for some of you since you'll need to sign up for the website to comment, but you can always get me on Twitter @ChicagoQuirk. I will of course still read all of your blogs, but I won't be posting here anymore. Thanks for reading, and I hope you'll come see me at my new home! Tonight I'm staying in and baking up a storm for my cousin's graduation party and my friend's bacon dinner party. However, I'm hitting the town on Sunday to try to get to all of these festivals. Since I've started tracking all of my summer activities, I've realized that I'm just a giant cow who's obsessed with food festivals! There's the Windy City Ribfest in Uptown and Taste of River North. I went to the Uptown ribfest last year, and it's really just a place to grab lunch. There's not much of an atmosphere, and it's in a pretty gross part of Uptown. The food is great, though. I've never made it over to the Taste of River North, so I'm excited to try it out. 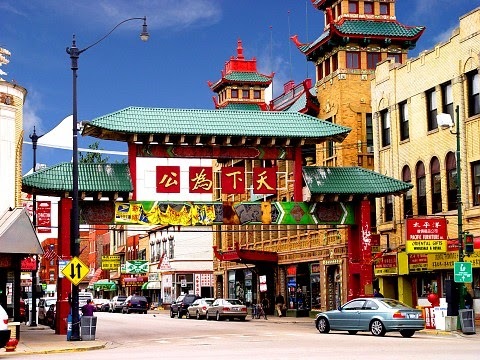 Chinatown is incredibly underrated, and I think the summer fair this Sunday is the best way to experience the neighborhood for the first time. I do have to say, though, that this is a pretty weird festival. There's the classic lion dance procession at 1:00 p.m. and various neighborhood vendors and food throughout the day, but there's also Brazilian dance, belly dancers and Ronald McDonald leading the parade. I'll still be there. Leave it to the Everleigh Social Club to push the envelope. Everyone loves a good trivia night, but when you call it "Grab My Junk" and toss in the Chicago Starlets you get ten times the fun! I can't tell you much more because I'm writing this at work, and most of the Everleigh Social Club's website is blocked due to pornographic images (I'm so going to get fired), but I can tell you that the show on July 19 at 9:00 p.m. and tickets are $10. Are you single and looking for "the one." Maybe you should take your chances at Old St. Pat's World's Largest Block Party. Aside from the fact that it's a huge event (18,000 attendees) with high-end entertainment (Plain White T's, Cobra Starship and Bare Naked Ladies are performing), the church claims that over 70 marriages have resulted from couples meeting at the block party. Apparently Oprah called it "the place to meet your match." I've told you many times that I'm a total geek. Now I'm going to prove it. This is my sister and me in Renaissance Faire costumes. Hers is rented, but mine is bought, paid for and sitting in my closet. Granted, this photo is about five years old, but the point is from age 17 until 22 I put on one of my costumes (oh yes, I have two) and went to the Bristol Renaissance Faire with my friends every weekend. We all met while working at Medieval Times, so it wasn't that strange of an activity for us. I was also doing Shakespeare in the Park, so there were whole summers where I wore period garb almost as much as normal clothes. 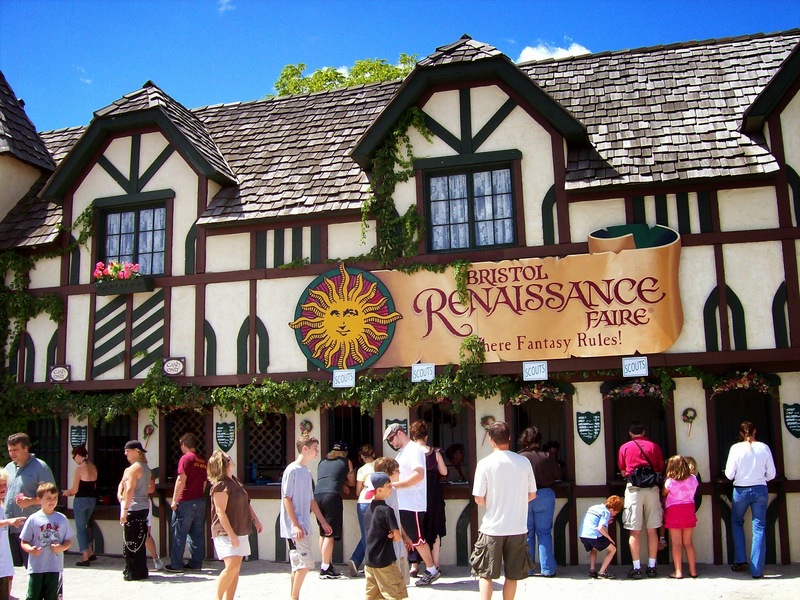 Now that I've shared my experience, I do have to tell you that, geek or not, the Bristol Renaissance Faire is worth checking out. For one, the scenery is gorgeous. Even though it's only open in the summer, the buildings are permanent, so people have put a lot of time and effort into building the shops. Aside from the fact that they sell some pretty awesome merchandise, many of the shop owners have purchased the building and live above the store all summer long. Once you're inside the shops, you'll be extremely impressed with the quality and artistry available. Yes, there are swords and strange costumes, but just about everything is handmade. My suede bodice cost me about $150 and was made by the shopkeeper, and it's stunning! There are gorgeous glass-blown items, and you can watch the artist make the pieces in the shop. Same with metal and leather artists. It's really amazing to watch. 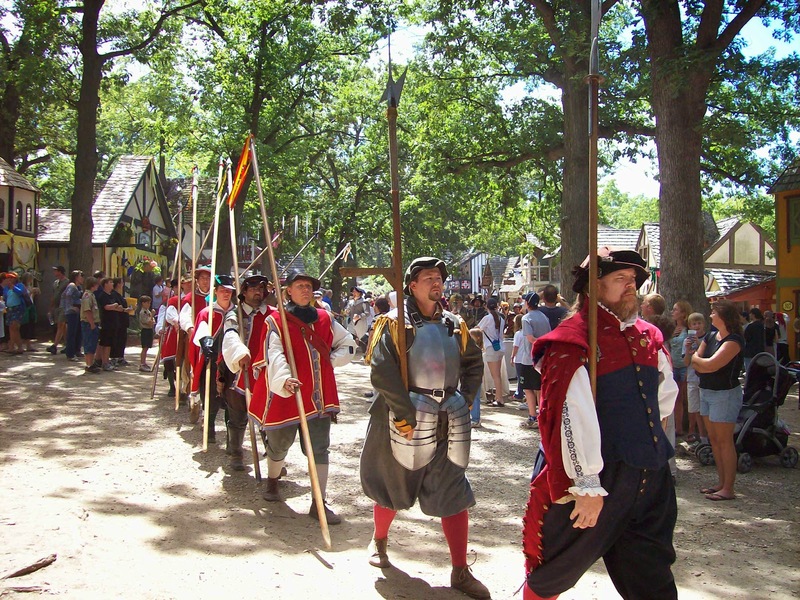 The faire comes fully-equipped with a cast ranging from the queen to lowly peasants. The nobility - the queen, ladies-in-waiting, Lord Chancelor, etc. 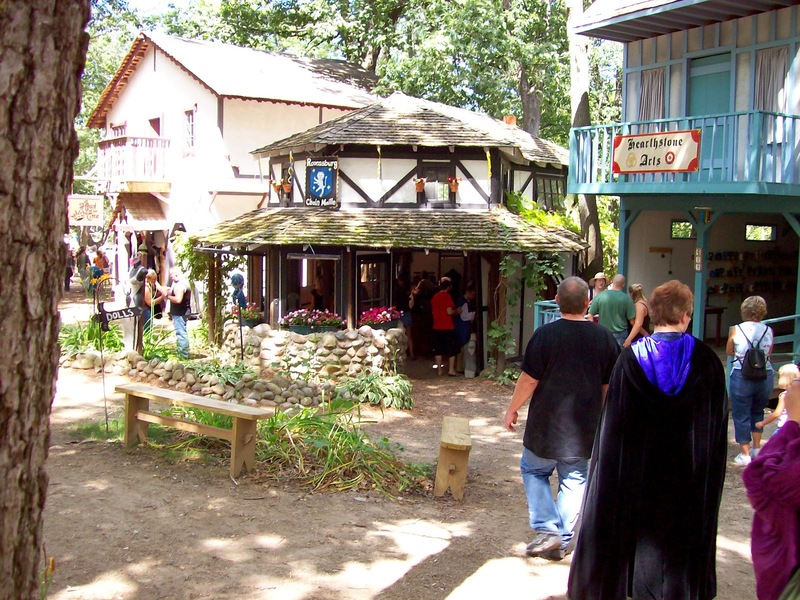 - actually stage performances throughout the faire, but there are dozens of other characters roaming around and interacting with the guests. I had a few friends who did this, and they create elaborate stories and have the most amazing costumes. I never did it because they don't get paid, and I was never geeky enough to drive to Wisconsin every weekend without pay. Me in costume number two. With a goat. There are also some fun rides, a petting zoo, various comedy and acrobatic acts and some VERY delicious food. 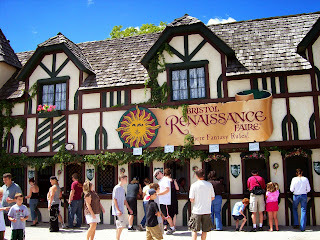 About five years ago, my husband and I grew out of going to faire every weekend and lost touch with just about all of our Medieval Times friends. I haven't gone in two years, and I'm a tiny bit afraid that my bodice won't fit anymore. Sure, I bought it when I was 17, but you know that doesn't matter. 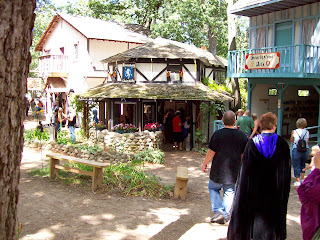 So, if you're willing to drive just a few feet over the Wisconsin border, definitely visit the Bristol Renaissance Faire. It opened last weekend and runs until Memorial Day. You can save money by buying your tickets in advance online, but be sure to stick around the front gate for a few minutes. Sometimes the peasants will stand on top of the tower and hurl insults at you. 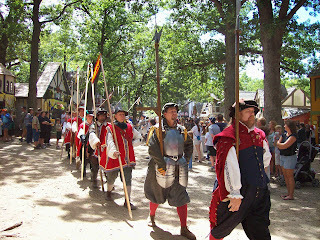 Faire is fun! 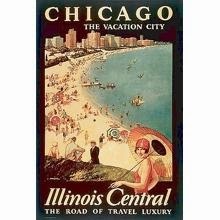 I would never have thought to shop on the CTA website, but as I was researching for yesterday's 'Did You Know, Chicago?,' I found some really cool stuff! 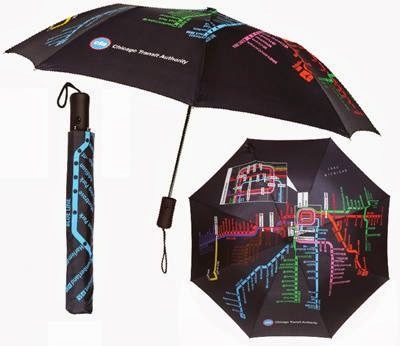 I seriously want this umbrella. I'm not sure how good these would look, but, in theory, they're pretty cool. Sport your neighborhood pride with a t-shirt featuring your closest 'L' stop. 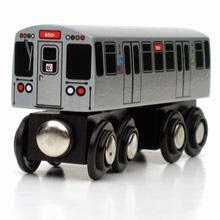 I bought this one last year at a boutique by my apartment, but it's way cheaper on the CTA site. Who doesn't love affordable vintage prints? 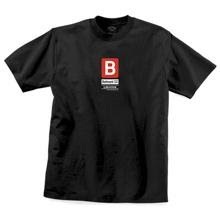 My husband's nephew is definitely getting one of these for Hanukkah this year. Those were some crazy storms this morning!! The power has been going in and out all day, so today's 'Did You Know, Chicago' is going to be a short one. 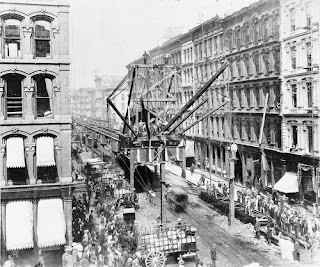 The first EL train ran from Van Buren to 39th, and the car was actually a steam locomotive pulling four wooden coaches. I don't know about you, but that idea scares the crap out of me. 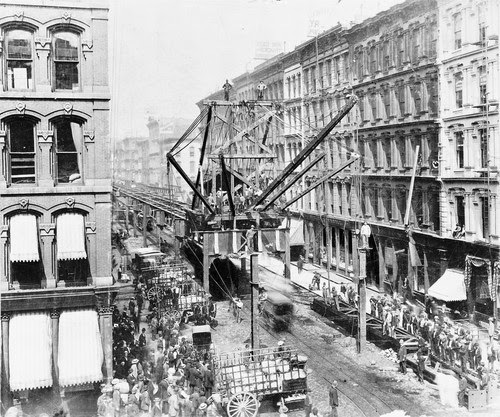 Ever wonder why the downtown business district is called "The Loop?" It's because the 'L' trains make a giant circle around the area. The area considered to be "The Loop" has long since expanded outside of the track lines, but the name stuck. 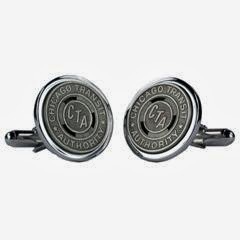 The Chicago Transit Authority (CTA) didn't actual have control over the train system until the late 1940s. Before that, the system was controlled by the president of Chicago Edison, and before that each line was operated independently by various companies. When the CTA took over, they created one fare system for the entire line. The CTA sold tokens, one per train ride, up until 1999 when they introduced the fare card. I kind of wish they still sold tokens because they are very cool looking. Happy gorgeous Friday! Too bad I'll be spending it in a jury room at 26th and California. That's okay, though, because at least I'm not driving out to the suburbs. Okay, no more Debbie downer. One of my favorite events starts this weekend: Summer Dance Chicago. I love the whole idea of this event. I always wanted to be one of those people that gets up and just starts salsa dancing like an expert, but, alas, I usually end up tripping someone. (People always think that just because I'm a tap dancer, I should be able to ballroom dance too. Not the case.) Summer Dance Chicago gives you lessons beforehand so you can bust a move with everyone else. And the fact that most people are amateurs makes you feel a lot better about your skill. Check out the whole list of events here. The best one: on July 23 the event will celebrate Soul Train's 40th Anniversary with free Soul Train Line dance lessons. Um, that's amazing. Don't forget West Fest! I've never been, but it looks pretty cool. There are a few art fairs going on this weekend, and we're not talking PTA. The DuSable Museum is hosting its 37th Annual Back to Our Roots Arts & Crafts Festival, featuring works related to African American themes, history and culture by fine artists only. There's also the 54th Annual Gold Coast Art Fair in Grant Park this weekend. According to the website, somebody called it the "Granddaddy of American Art Festivals." Not sure who said that or why but whatever. If you're thinking of doing The L.A.T.E. Ride this year, I'd probably skip it. My husband and his dad participated last year, and it was pretty bad. They don't actually close down any streets, so you're trying to get around the cars. And they don't stagger the start time so you're riding in a giant crowd of people the whole time. My husband said they couldn't actual even get up enough speed to peddle. They just sort of hopped along. 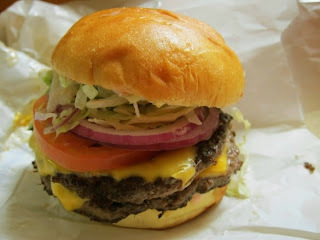 I plan to stuff my face at the Roscoe Village Burger Fest on Sunday afternoon. Burgers, cocktails, music. Yes, please! 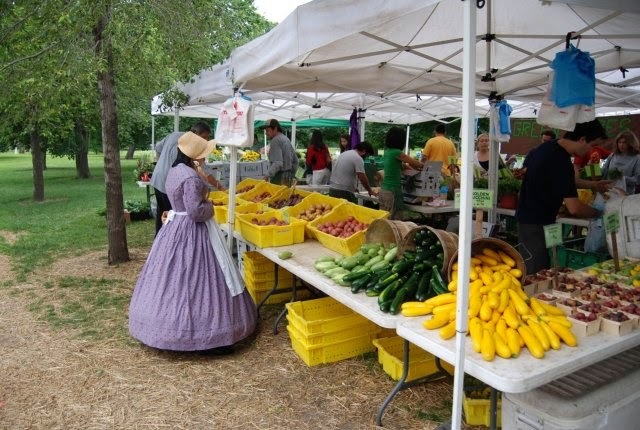 I love the idea and concept of the farmer's market, but I have to confess that I've only been a few times. I'm always busy or I don't get there in time, and my dreams of coming home with all the ingredients for a delicious and locally-grown organic dinner are dashed. Well, I started circling and looking at a few items. I found some nice blueberries I wanted, and I went into my wallet and realized I didn't have any cash. I asked the lady if they took credit cards, and she laughed at me. Actually laughed! Needless to say, that was the end of the farmer's market for me. Since my embarrassment, I've done research to arm myself with the ability to tackle the next market head on. Sounds like common sense, but when you get to the market and realize that all your cash went to last night's cab ride home you'll feel as dumb as I did. Hit the ATM beforehand and try to convince the clerk down the street to give you change. The booths have small plastic bags for your purchases, but you'll feel like a douche walking among the people with their overpriced Vera Bradley shopping totes. It's pretty obvious that the best items are put out and gone first. However, I'm not even going to kid myself into thinking I'll be at the market at 7:00 a.m. I did find out though, that if you go late you'll get the best deals. The farmers don't want to drag all that stuff home, so they'll discount the products to get rid of them. Sure, my raspberries might be a little mushy, but they're half off. This is the hardest for me because I seriously know nothing about food. I read that it's a good idea to ask the farmer what's good this week and what their best item is that day. You can also ask for cooking and serving suggestions. I tend to go with the basics. I can eat an apple, so I should buy apples. Unfortunately, those apples are more expensive then, say, onions that can be used in multiple meals. You can also pick up your eggs for the week and delicious cheeses and meats. I guess it's like buying gas - the vendor two booths down could be selling the same thing for cheaper. That way you can also find the prettiest items. I think I'll start slow and find a smaller market to visit, and then work my way up to the Green City Market. It is pretty intense for a newbie.